May be you know already, that the "Streams and TCPIP" packages does support only very few network cards, a 3COM 3C501, 3C503, WD8003 (8 Bit ISA) and last but not least hopefully also a WD8013 (16 Bit ISA). No NE1000/NE2000 support (SCO list a Novell (Exelan) 205T - but never heard before from it until I read the below mentioned compatibility note), although I read a usenet article which describes success with a NE2000 compatible Longshine card. See also here for more NE2000 comments. So you do not need only the 4 TCP/IP floppy disks (and one Streams floppy disk), but also compatible hardware. I was so happy to find a WD8013 a few weeks before, also because these network cards are meanwhile very rare. The related link below mentions h/w compatibility - described by SCO itself. These WD80x3 cards are crap. Unbelievable how many problems occur with the configuration. May be the Trident VGA in my 486 is the reason, don't know. So I inserted my WD8003E (because the WD8013 didn't run, I took the WD8003 for further tests) in my IBM PC/XT, also because my XT does NOT have memory above 9FFFFh. The default settings for these cards is i/o 280h, irq 3, ram address D0000h. But almost all PCs of that era could have a second serial port. IRQ 2 = already taken by the SCSI card. 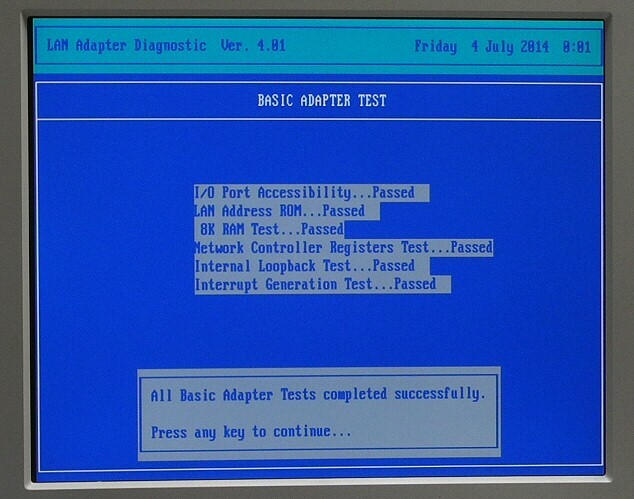 At this point I realized I couldn't test further because my XT has no free IRQ. So I disabled my COM2 port first (IRQ 3 is free then). BUT. I was still not able to run EZSETUP. At this point, I am out of any helpful idea. So far I was also able to run the packet driver 8003pkdr.exe without errors. I guess I will use the WD card with my XT, and continuing to test XENIX with my 3COM503. May be there exist also an earlier (non SMC) WD8003 setup program, but I can't find it.